The folks at Ford are celebrating a back-to-back win for the F-150 after Motor Trend deemed the full-size pickup its 2018 Truck of the Year. Unfortunately, it means the 2018 GMC Sierra HD and 2018 Chevrolet Colorado ZR2 go home empty-handed. Ford’s full-size earned the 2017 accolade as well after the Chevrolet Colorado stole the show for two years in a row itself. Chevy’s mid-size pickup earned the 2015 and 2016 honor. For 2018, however, MT Editor-In-Chief Ed Loh said the F-150 exceeded expectations in all categories including powertrain, performance, technology and overall execution. Things will change soon, though. General Motors will roll out its next-generation full-size trucks sometime next year. 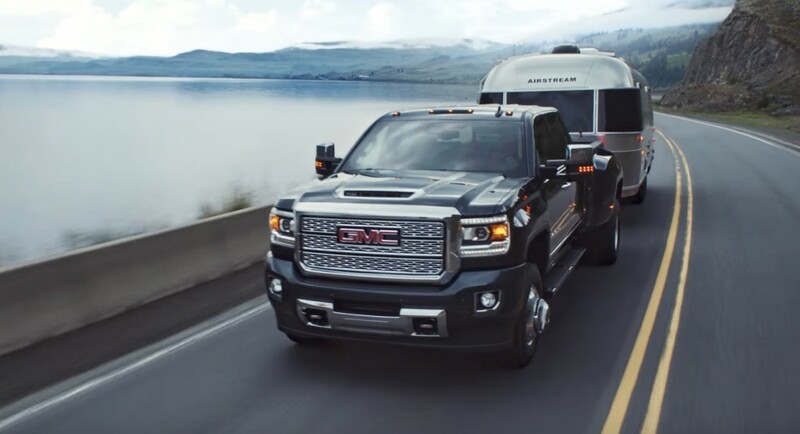 The 2019 Chevrolet Silverado and 2019 GMC Sierra will hopefully reinvigorate consumers and pick up some ground lost to Ford in the past couple of years. A real positive if you win but no loss if you don’t win. When GM won back to back Ford did not slip in the market just as GM will not slip either. Might want to watch as Ford will have higher advertising spending with MT now. They all have done this over the years. There have been some stories on the political nature of this award. Autoweek did a really good story a few years ago on this. The bottom line is there is a lot of good trucks out there and any of them could justify their place. Next year look for GM to win it with the new Chevy. Depends on the timing of the new RAM, might be some good competition…. Also many who went to Ram come back to where they started after they find the quality issues and the lower resale due to the high rebates being offered. $15,000 off the sticker of a half ton truck really hurts resale. Ford and GM have done limited $10K but not $15,000. Just look at the used prices of these trucks and you can see where it hurts. FCA has failed to correct quality issues in most of their products and they just keep happening. I am on my 2nd Ram since 2000 and so far they have been rock solid reliable. Had a series of GMT400 pickups years ago and cannot say that about them. Until GM does something with things like styling, dealing with that intermittent shuddering/vibration issue, no high capacity fuel tank and no rear seat ventilation folks are going to look elsewhere. I have a K2XX truck with a 6.2L and I have to say a 26-gallon fuel tank takes me plenty far enough on both the highway and in city, loaded and unloaded. I have never had any problem with intermittent shuddering or vibration. Part of me has to wonder if the folks complaining of that have put different tires on the truck or purchased a truck with low quality tires from the factory. As we all know all the manufacturers put the most cost effective tires on their new vehicles trucks included. We also know cost effective doesn’t equal quality. With that said rear seat HVAC would be nice for the kiddos but its so pressing an issue I need to jump ship for Ram. I’m not trying to be confrontational. We all like who we like for our own reasons. But this is a GM forum for GM enthusiasts if you like Ram trucks God bless but FCA has a companion forum. Ok , congrats to Ford and their F-150 winning the MT Award . But that doesn’t tell the whole story , the F-150 seems to be copying the Silverado”s styling cues on the front end . And the Siiverado missed being the top seller by a mere 22,000 units . With a new design coming from the General lets see what happens next year . I`ve been a G.M. Guy for years, but for reliability, I`ll go for Tundra. And again we hear from our forum troll with nothing to add to the discussion but rhetoric . Years ago Car and Driver , Motor Trend and Road and Track were accused of always siding with the Japanese car makers especially Toyota .This was like in the 1980’s when they were building cars with such quality that at the time our domestic cars couldn’t match . And the consumer started to buy cars like the Camry etc. The auto journalists from those magazines were reporting on what they were seeing going on in the marketplace and that same opinion of being bought and paid for by the Japanese car companies . It may have looked like it but what the writers were doing was trying to wake up the American manufacturers that their was new competition and they were being challenged from overseas . Nothing will affect change more than tough competition . No trolls here just facts! These magazines have to sell advertising and what better way to bring in cash then to reward your biggest supporter! It has been documented in the past the companies like Honda paid magazines to write positive reviews about their crappy cars! And Ford is no different! The real winner should of been ZR2!